A collaboration designed to promote research and discussion within the UK’s marine renewable energy (MRE) sector has been awarded funding to increase the scope of its work. PRIMaRE (the Partnership for Research In Marine Renewable Energy) is a network of world-class research institutions who undertake research and development to address challenges facing the marine renewable energy industry at the regional, national and international level. It has now received a network grant from the Engineering and Physical Sciences Research Council (EPSRC) to enhance its work through events, workshops and a summer school for those seeking to expand their knowledge in the MRE sector. Between now and 2020, the partners will also explore opportunities to further expand the network and identifying more platforms through which to share its academic knowledge for the benefit of both society and the environment. 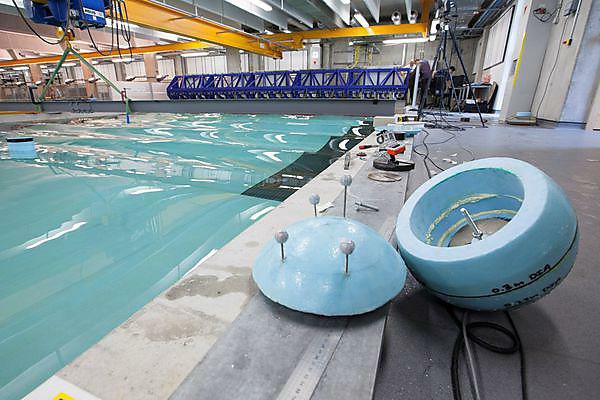 PRIMaRE was launched in 2013 and comprises the Universities of Plymouth, Exeter, Southampton, Bristol and Bath, as well as the Marine Biological Association, Plymouth Marine Laboratory, the South West Marine Energy Park and the Wave Hub. It also has three associate members in the universities of Cardiff, Cranfield and Uppsala. The funding comes as PRIMaRE stages its fourth annual conference, taking place at the University of Southampton on Thursday 06 and Friday 07 July. to launch an annual summer school, offering CPD programmes so that knowledge can be exchanged between researchers, the novel MRE industry and the wider sector.